159 pages with 131 colour photographs. 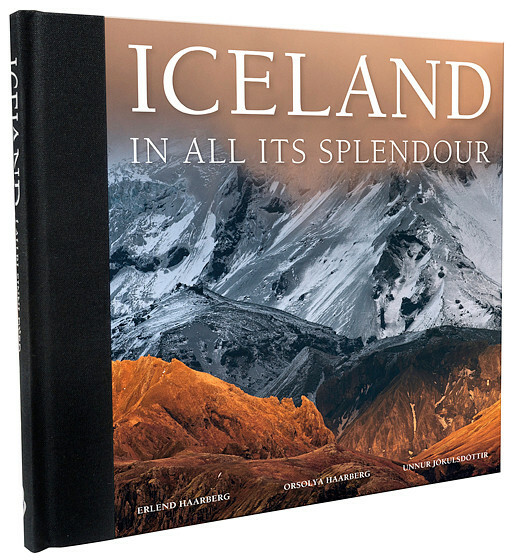 The book can be purchased in Icelandic book shops or it can be ordered here. “Observing strong contrasts in the natural world is a powerful way to ponder its attributes, since contrasts engender a comparison. And Iceland’s nature has many of these contrasts, indeed: light in the darkness, patches of forest neighbouring vast stone deserts, vibrant colours attracting the eye in a grey-toned landscape. When you watch the red fire of a volcanic eruption flaming from the ice of a glacier, it becomes even clearer to you how hot the lava is, how cold the ice – and on a bright summer night you recall the dark days of winter.